Peter McCoy and Radical Mycology were recently featured in an article on the many prospects of mycology over at Salon.com. Topics touched on include the infancy of mycology, the need to promote the many non-psychoactive properties of fungi, mycoremediation, and how fungi will recolonize the world long after humans have gone. Dig it. The last couple months have been quite busy on the Radical Mycology front. With planning the just-launched Radical Mycology Book tour and the upcoming Radical Mycology Convergence, its been a go trying to post all the reviews that the book Radical Mycology has been getting over the last few months. So, here they all are in one convenient post! Good Magazine did an interview with Peter when the book first came out here. The Survival Podcast had Peter back a second time to talk about several intermediate cultivation practices with fungi here. The Sustainable World Radio podcast got into a range of topics with Peter from the book here. Diego Footer of the Permaculture Voices podcast did a great interview with Peter about a range of fungal cultivation practices and low-impact integration practices and their relationship to permaculture / regenerative agriculture. Ayana Young of the Unlearn & Rewild podcast held a deep conversation with Peter about the cultural and ecopsychological impacts that fungi have had on humans since pre-history. Though Peter tends to do interviews about the practical implications of working with fungi, these more subtle fungal roles in our collective history are some of the most inspiring topics for him and Ayana pulled out some amazing questions to help do the topic justice. The New Food Economy online magazine did a great interview and write-up on the book here. The other month, Peter also did two webinars on the books topics: one on Seeing Fungi (fungal biology and ecology) and the other on Working With Fungi (the historical, contemporary, and future impacts of foraging for, consuming, and cultivating fungi). These info-packed videos give a solid overview of the many topics and skills that are thoroughly detailed in the book, much of which is not represented anywhere else on the internet today. Check them out below. The Australian permaculture school and blog Milkwood wrote up a great piece on the book here. The New Jersey Mycological Association did a review here. The Practical Herbalist podcast and blog did a review here and part 1 of an interview with Peter here. Lastly, The Willamette Weekly in Portland, Oregon named Peter “Best Mushroom King” in their annual “Best of Portland” issue. Fungi.. keeping Portland Weird. Peter from Radical Mycology was recently interviewed on the podcast Permaculture Tonight hosted by author and teacher Matt Powers. Topics include fungi in the history of the earth and ancient cultures, updates on the Radical Mycology book, and the Secret Life of Fungi. Radical Mycology is happy to announce the first in a series of interviews with grassroots activists, authors, thinkers, and bioremediators. In this first interview Peter McCoy talks with Nance Klehm about her extensive history in working with soil, waste, social, and biological systems around the world. They also discuss her current project, The Ground Rules, a community action and research project in Chicago that proposes a timely and highly visible model to re-imagine the waste streams and biological infrastructures of a city. Process-focused and committed to observation, learning, and productivity, The Ground Rules is a living experiment in rediscovering the wealth we already possess as communities – and in coaxing its re-emergence into new being. To hear the interview click the image below. Radical Mycology co-founder Peter McCoy was recently interviewed for the first episode of the podcast Adventures Through The Mind, hosted by James Jesso. 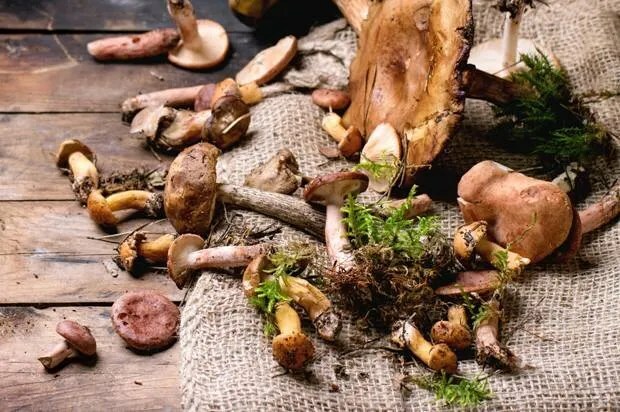 Topics covered include the importance of fungi in past and present human cultures, medicinal mushrooms, mycoremediation, and insights into the fungal life cycle and its relationship to human life. Check it out here. Radical Mycology cofounder Peter McCoy was recently featured on the wonderful podcast Unlearn & Rewild with Ayana Young. This rare voice in the wilderness of the internet begins with the premise that “humanity’s primary challenges are to unlearn our destructive conditioning and repair and reintegrate into the wild web of life.” In this interview, Peter shares some of the more politically and ethically charged perspectives that fuel his work with Radical Mycology. Topics covered include how the work of radical mycologists can support social and environmental organizing efforts, the harsh realities of mycoremediation, integration of fungi into permaculture design, and more. Listen to the interview by clicking here. Radical Mycology cofounders Maya Elson and Peter McCoy were recently featured in the environmental news and commentary magazine Grist. This excellent article touches on Radical Mycology’s history and various hyphal projects as well as the importance of this work in the context of today’s world. This awesome piece was written by Sara Bernard. Check it out here. Peter McCoy of Radical Mycology was recently featured in a short documentary on the current rise in mycological culture in the west. As it happens, this film, just like the Radical Mycology Book, was also funded by a crowdfunding campaign. Oh, what a wonderful mycelial internet(work). For more on the film maker, Madison McClintock, check out her website here. Peter McCoy of the Radical Mycology project was recently interviewed on The Survival Podcast with Jack Spirko. Topics ranged from Radical Mycology, medicinal mushrooms, and a cultivation overview for survival strategies. Click the image below to hear the interview.